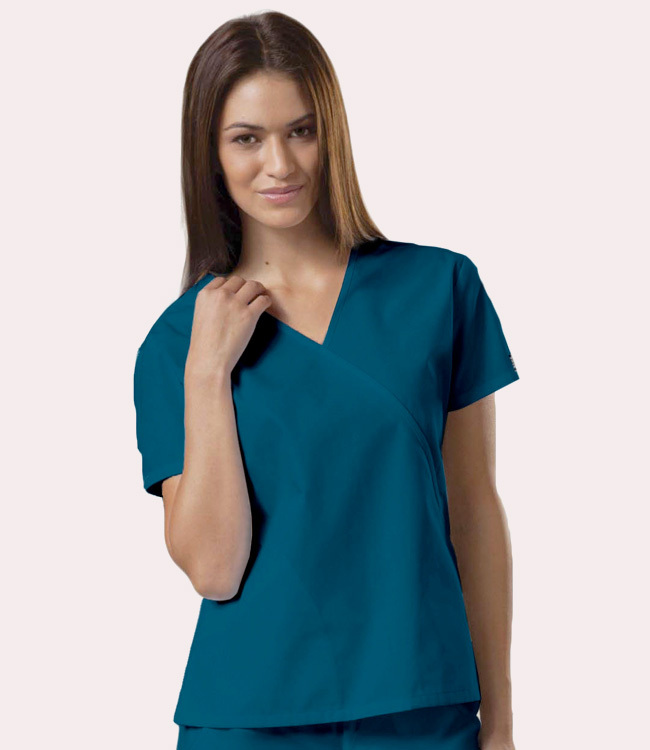 Workwear does fitted scrubs with the NEW for Fall 2007 Mini Mock Wrap Top. Accented by same-color crossover "trim" around the neck and over to the left side, the 4880 also features two side angled, topstitched pockets and side vents. Center back length 23 3/4".